This burger joint proudly proclaims that it makes handcrafted food "built for the American workforce." Those laborers must be assembling a project the size and scope of the Hoover Dam, developing an appetite just as large given the whopping portion sizes here. You can hardly get your mouth around all of the layers that make up a sandwich like the Woody Royale ($15), where the patty's not particularly thick but piled high with the makings of a Texas barbecue: brisket, jalapeño coleslaw and a sweet, deep-fried onion ring. 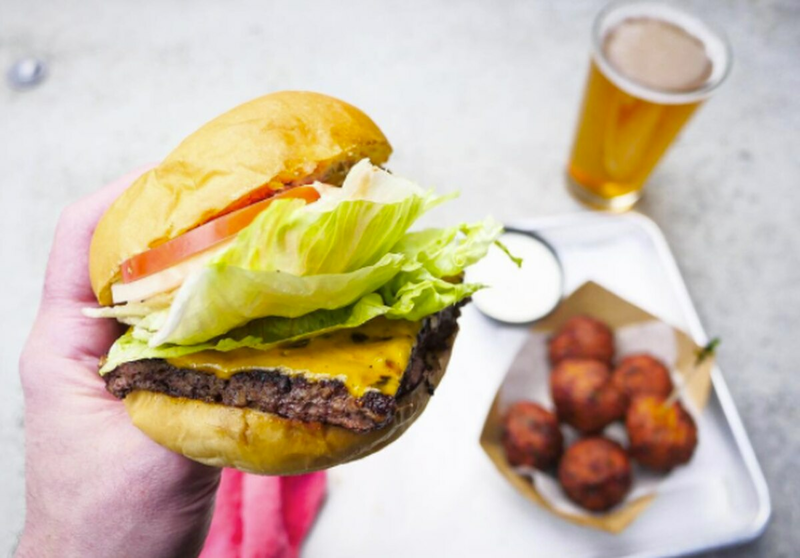 The tots ($5, $8) are also super-sized—you could practically tee off with one of Tilt's. And though it sounds impossible to continue to stuff yourself with dessert, Tilt's old-fashioned pies ($5, $28) are a must-have, made-from-scratch dream. A slice of airy coconut cream is like riding a whipped, toasted cloud to heaven.